In a society where split-second decisions about the value of things are grounded on how they look, museum visitors are often drawn to visually striking or iconic objects. 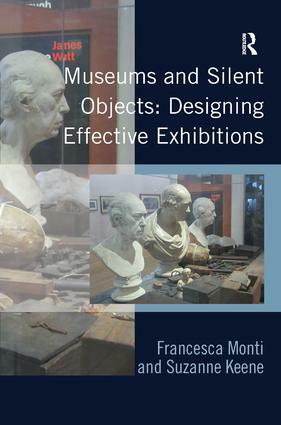 This book investigates the question of the treatment of items on display in museums which are less conspicuous but potentially just as important as the striking objects, arguing that it is important to show that all objects illustrate potentially interesting cultural contexts and content. The authors explore the disciplines of architecture, design, cognitive science and museology and offer a methodology by which the quality of museum exhibitions can be judged from a visitor-centred perspective. They provide new insights into the visitor-object encounter and the relationship between visitors, objects and museums. In addition the book offers a set of useful practical tools for museum professionals - for audience research, evaluating museum displays, and for designing new galleries and striking exhibitions. Richly illustrated with photos and diagrams, and based on studies of famous galleries in world-renowned museums, the book will be essential reading for all those concerned with creating effective exhibitions in museum. Francesca Monti is an independent researcher and museum consultant. She completed her PhD in Museum Studies at University College London, UK. Suzanne Keene is Emeritus Reader in Museum and Heritage Studies at University College London. She chairs the Organising Committee of the London conference series Electronic Visualisation and the Arts (EVA). She is also a trustee of the Collections Trust and a member of the Editorial Board for the journal ’Museum Management and Curatorship’.